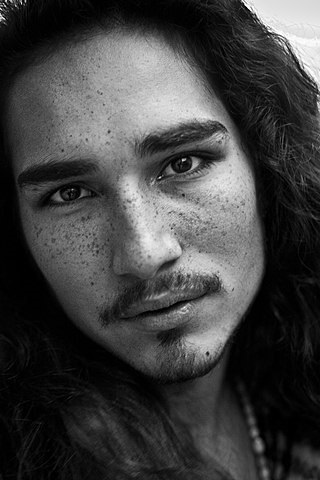 Willy Cartier was born in Paris, France, on September 15, 1991, is a French male model, dancer and actor. He began his modeling career in 2009. Become the face of Givenchy’s Riccardo Tisci Fall/Winter campaign in 2010. Featured in music videos for Woodkid "Iron" (2011) and "I Love You" (2013). He is of Vietnamese, Senegalese and French descent. He studied at a theater school Cours Florent in Paris. He studied dance in the International Dance Academy. He dated French model Anais Mali (2016). He made his big screen debut in French comedy romance film The Beautiful Person (2008) credited as Willy Leservot. He played Dimitri in TV Series Famille d'accueil (2012). Elle Kazakhstan, Vulkan, Redmilk Cover, Schön, Out Magazine, DSECTION, Bullett, Galore, Men's Uno China, Numero Homme, 1883 Magazine, Lurve, Marie Claire Italy, IO Donna, Carbon Copy Cover, W Magazine, IT Post, Rodeo, Elle U.S., Dazed, i-D Magazine, Let's Go Nice, Contributor, Indie, WAD Magazine, GQ Style Germany, Arena Homme +, Vogue Hommes Japan. Diesel, Guerlain, Givenchy, Big Star Jeans, Marithé et François Girbaud, Benetton. Walked runway for Hugo Costa, Yohji Yamamoto, Brett Johnson, Skingraft, Elle U.S. Show, Hood by Air, Bespoken, Public School, Jean Paul Gaultier, Givenchy. Represented by agencies Re:Quest Model Management NY, Paris Success Models, Milan Why Not Model Management, Barcelona Sight Management Studio. I try my best, everyday, to be the best person I can and to keep learning about things that inspire me. Also I like to learn a out different cultures and not be stuck into a format just because I live in France or just because I’m part Vietnamese and Senegalese … And of course French ! To me the best part about modeling isn’t the casting process nor the shows, nor the campaigns, nor the magazine covers but it is the connexion that I have with the designers who are the creators of the art piece that I will extend by wearing it.